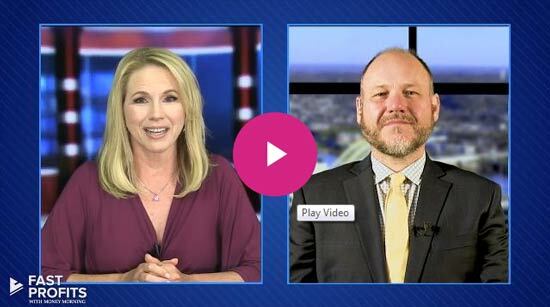 Subject: What Are Real Estate Investment Trusts (REITs)? Real estate investment trusts (REITs) are companies that own or finance income-producing real estate properties. REITs are similar to mutual funds because they provide investors stable income streams and capital appreciation. Most of them are associated with shopping malls, hotels, offices, and apartment buildings. According to the National Association of Real Estate Investment Trusts (NAREIT), there were 216 REITs in the United States in 2014. That marks a 59% increase from 136 in 2008.
" was a pretty sensational year for REITs," said Rich Moore, managing director at RBC Capital Markets, in an NAREIT report. "This year, you're going to have a positive year on the fundamentals side, no question about it." Real estate investment trusts boast their own attractive qualities separate from other dividend investments. 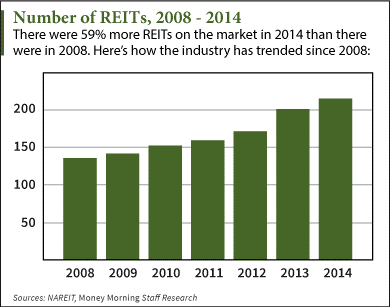 REIT dividends are reliable because they come from constant streams of rent money paid by the REIT's property tenants. The IRS also requires real estate investment trusts to annually distribute 90% of their taxable income to shareholders. This federal policy ranks REITs among the highest dividend-paying investments, with a 4.1% average yield for all REITs. That's higher than both McDonald's Corp. (NYSE: MCD) and Caterpillar Inc. (NYSE: CAT) – two of the top five highest-yielding stocks on the Dow. Those two stocks yield 3.56% and 3.72%, respectively. Several REIT IPOs have already made huge waves in 2015. InfraREIT Inc.'s (NYSE: HIFR) deal on Jan. 30 raised $460 million, making it the largest REIT IPO since Paramount Group Inc.'s (NYSE: PGRE) $2.3 billion deal last fall. In February, Easterly Government Properties Inc. (NYSE: DEA) and Great Ajax Corp. (NYSE: AJX) raised $180 million and $71 million, respectively. In 2014, the industry's total market cap was $907.4 billion. That's up 235% since 2009. At this pace, it's well on its way to becoming a $1 trillion industry within the next few years. There are Good and Not so Good REIT's / beware of long term commitments, I've been stuck with one that was supposed to pay 5% that after paying nothing for the better part of a yr. went to 3.5% luckily the property is being sold and I will get my principal back. Next time I will do more investigation.